Instagram has been a godsend for tattooing and tattooists, providing a free way (up until now at least) to advertise directly to the people who are actually interested in what you do. 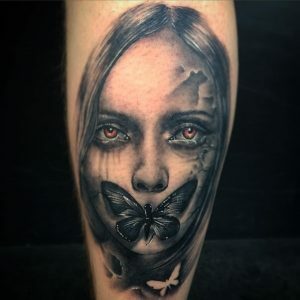 But, there are a few things I see again and again that might not be immediately obvious to some people who are new to tattooing or just casual fans. Almost all tattoos on Instagram have been filtered. 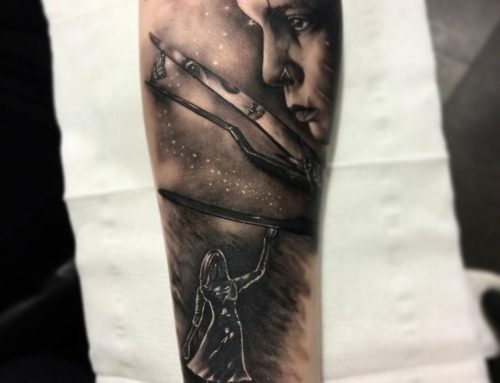 Most people use filters, they can actually help make the tattoo look more like it does in real life, maybe by taking some redness out of the skin or making the black look less washed out (which the iPhone camera tends to do). 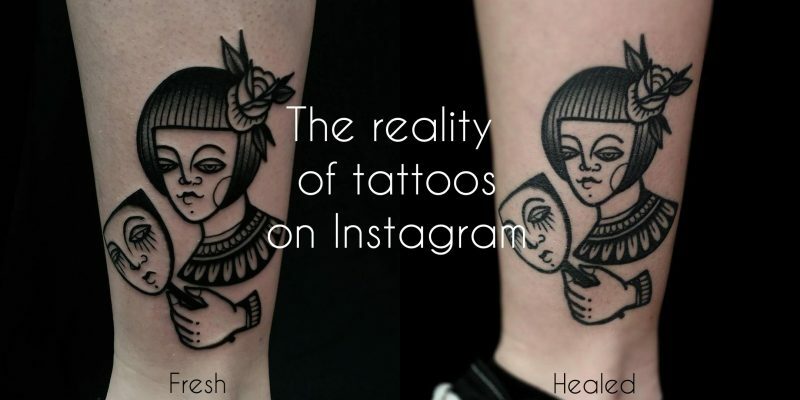 But some tattoos are so heavily filtered that they don’t really look like tattoos anymore. 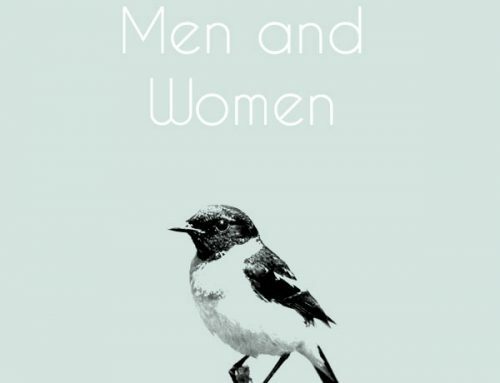 They look like delicate little pencil drawings on paper, or super soft pastel drawings. Some of the bigger tattoo sharing accounts actually seem to only post heavily filtered tattoos. 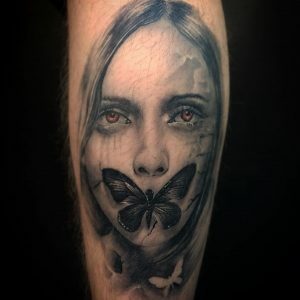 People seem to be impressed by things that look new or different, and some people are drawn to these as they “don’t look like a tattoo”, or “different to most tattoos”. Well, filters can be deceiving. A tattoo will always look like a tattoo in real life. If it really doesn’t, it probably won’t heal and hold up well (see the following point). Sounds obvious, but it is worth pointing out. Here is filtered image of a tattoo by Matt Hunt. The redness has been taken down, the blacks have been bumped up and the other colours enhanced. The following image is a more realistic expectation of how the tattoo will heal. Tattoos can look very different healed or fresh. Instagram has created a very short term approach in some tattooists. As long as they get a good photograph for their portfolio, that is all that seems to matter. In my opinion, a tattoo should look good on the day it is done, a year after and 5 or 10 years after. 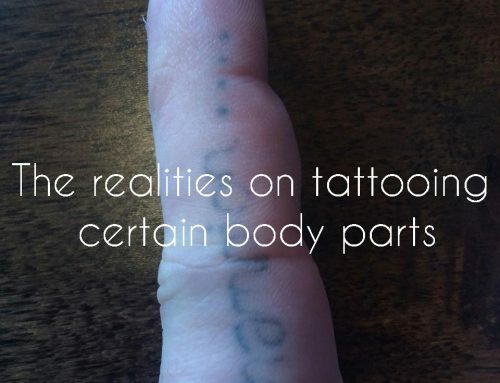 I am genuinely not sure if some tattooists are just naive or just don’t care about how something will heal and hold up, as long as they get that photo. 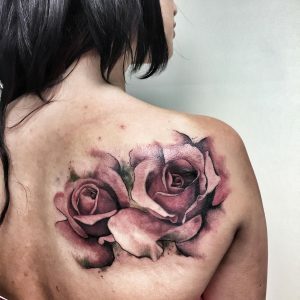 There are even some tattooists, with big names in the industry and a lot of followers, who are well known in the industry for having work that heals badly. Crazy, but that’s how it goes. There is a real popularity for “watercolour tattoos” lately, or tattoos with no outline. Now, not every tattoo needs a big fat outline to last, but super soft colours, with no black and no outline, are a very hard thing to get right and to have longevity. That isn’t to say it can’t be done – some people do it very well – but it is very common to see it done badly. Also, very soft and subtle flesh tones, on the body’s natural flesh tone for instance, will look very different once healed, so keep that in mind. As much as we genuinely hate to link to this particular website, this article and the photos in it, are worth looking at for some excellent examples of how different tattoos can look fresh vs healed. 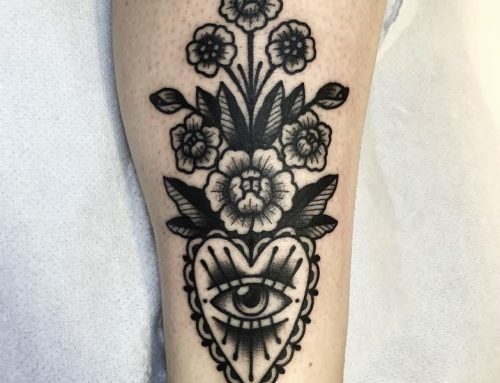 Fresh tattoo by Greg Bishop. 3 months old healed tattoo. The blacks and greys have settled because Greg has used enough black to contrast the lighter tones. 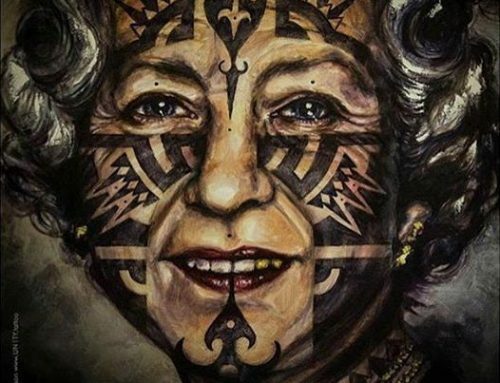 There are some very, very good tattooists out there with very few followers, and conversely, some very average tattooists with a hell of a lot of followers. Some people know the right people (often people who run big conventions or the popular sharing accounts), or maybe they are very attractive and post a lot of selfies (especially scantily clad ones), or they are in a popular band (or more commonly, unfortunately, just going out with someone in a band) or maybe they are just very good at social media and sharing just the right amount to give an impression of an enviable and aspirational life style. Some people have all those things and do amazing work as well, and some people are great artists and have none of those things. In an ideal and fair world, everyone would have the exact amount of followers their work deserves, but it isn’t that simple, so don’t assume more followers means someone is better than someone with less. As a continuation to the above point, be aware that it is possible to buy followers to bump up that number and make it look like you are kind of a big deal. Thousands and thousands of followers doesn’t necessarily mean an artist is booked up for months. There you go, hopefully this will help educate a couple of people who maybe weren’t aware of this kind of stuff.